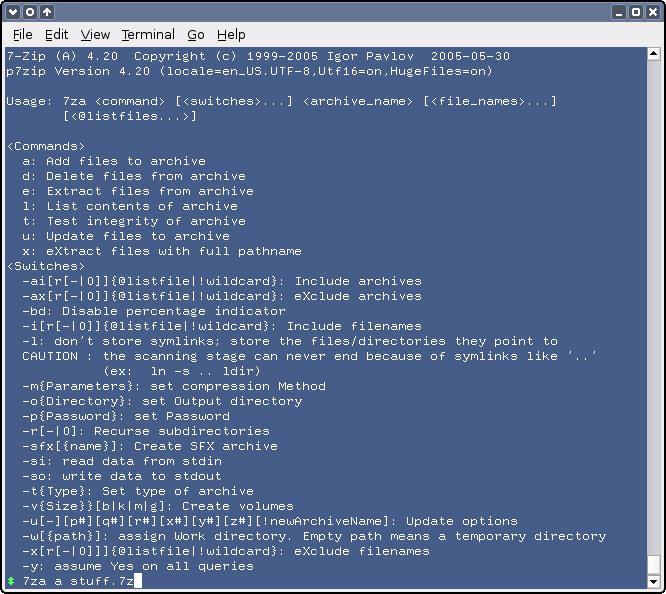 Found 41 file extension associations related to p7zip for Linux and 38 file formats developed specifically for use with p7zip for Linux. p7zip is a quick port of 7z.exe and 7za.exe (command line version of 7zip) for Unix/Linux/Mac OS X. 7-Zip is a file archiver with highest compression ratio. Since 4.10, p7zip (like 7-zip) supports little-endian and big-endian machines. If you need more information please contact the developers of p7zip for Linux (Igor Pavlov), or check out their product website.